ULTREX is here! This is so exciting! You've been eager to try a construction software package that will reduce time you spend with construction documents, and the ULTREX rep assured you that this was the product for you. She made it sound like ULTREX would do everything including hang sheetrock for your team, and all with reliable customer service, too. Staff problems adjusting to it and using it? No worries! If you can breathe, you can use ULTREX! So now the big day is here, and-what's this? Everyone hates ULTREX, and refers to it as "Ugly". Office staffers are complaining that it has slowed the firm's computer system to a crawl. Field workers are having to drive into the office to log data into ULTREX, further slowly things down. And you're thinking of adding an additional IT person to the staff, because that "reliable" customer service has turned out to be pretty unreliable. If possible, software purchasers should either do field tests of software, or solicit opinions of field employees as to what types of digital equipment works best in the field. One type of computer that most employees are already carrying and using like pros for example, are their mobile devices. And software like Raken for daily reports easily transforms those devices into digital tools that allow workers to quickly and easily complete and transmit reports in real time, without having to leave sites. Raken's mobile app is easy to understand and use, eliminating misreporting and delays in completing daily reports. Software like Raken can also be customized, to meet the needs of specific trades or projects. 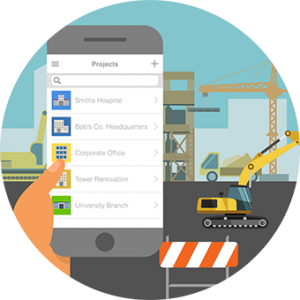 Employees don't have to dread having to work with construction technology. Instead, they can make that technology work for them, resulting in a more efficient and profitable project, saving their firms thousands of dollars.